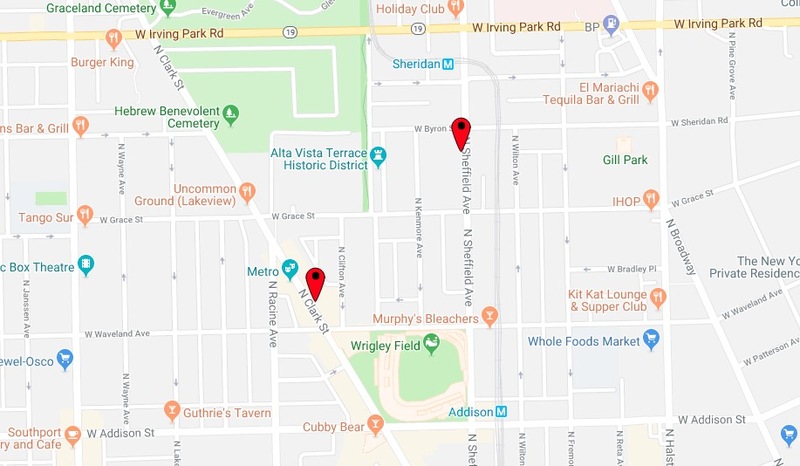 Two robberies reported in the Wrigleyville neighborhood this weekend are under investigation by Chicago police. Police said a 44-year-old man was targeted by a group of offenders near his home in the 3800 block of North Sheffield. “Multiple” offenders approached the man from behind, struck him repeatedly in the head, and took his valuables around 6 a.m. on Saturday, according to a police spokesman. The victim sought treatment at Advocate Illinois Masonic Medical Center where he was listed in fair condition. Police said the offenders were a group of black men and black women between the ages of 18- and 20-years-old. Earlier Saturday, a man flagged down police in the 3600 block of North Clark shortly after he was mugged. The man said two men jumped him near Wrigley Field around 1:30 a.m., took his phone and credit cards, then fled in a white Chevy Impala. He described the offenders as two black men in their late 20’s or early 30’s. One was about 6’1” tall, 240 pounds, and wore a red sweater. The other is about the same height, 200 pounds, and wore a white sweater.